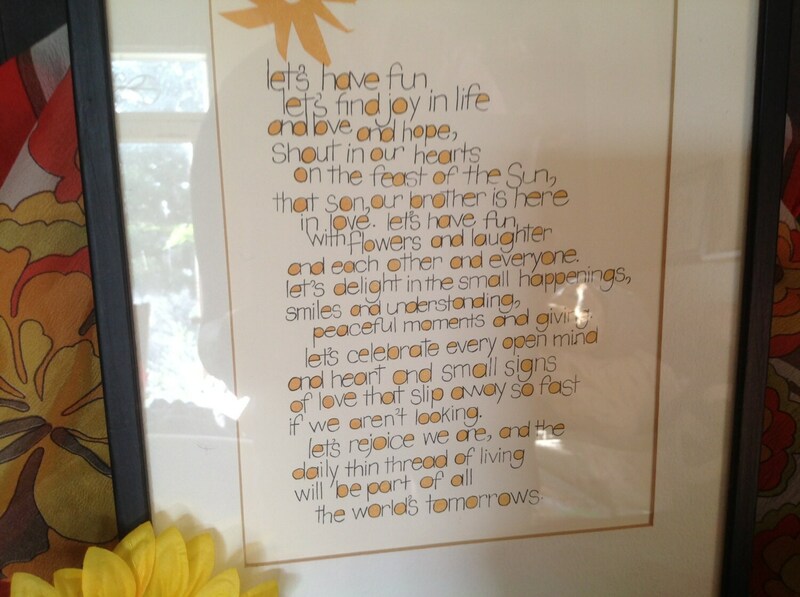 Offered is delightful life philosophy in a mod font. 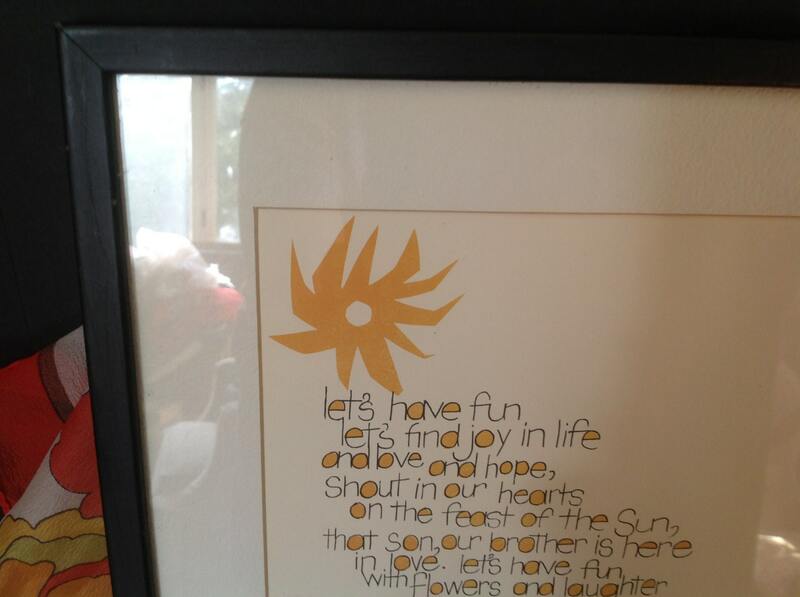 It is ivory with a yellow sun and accents. The matte matches the print background. The frame is a simple black style. 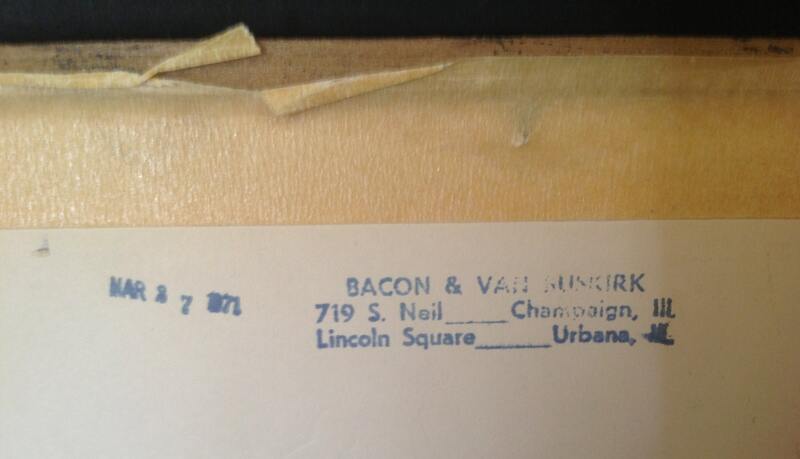 The back is markedf "Bacon & Van Buskirk 719 S. Neil Champaign , ILL Lincoln Square Urbana ILL Mar 27 1971". This is a wonderful example of l970's kitsch! and each other and everyone. 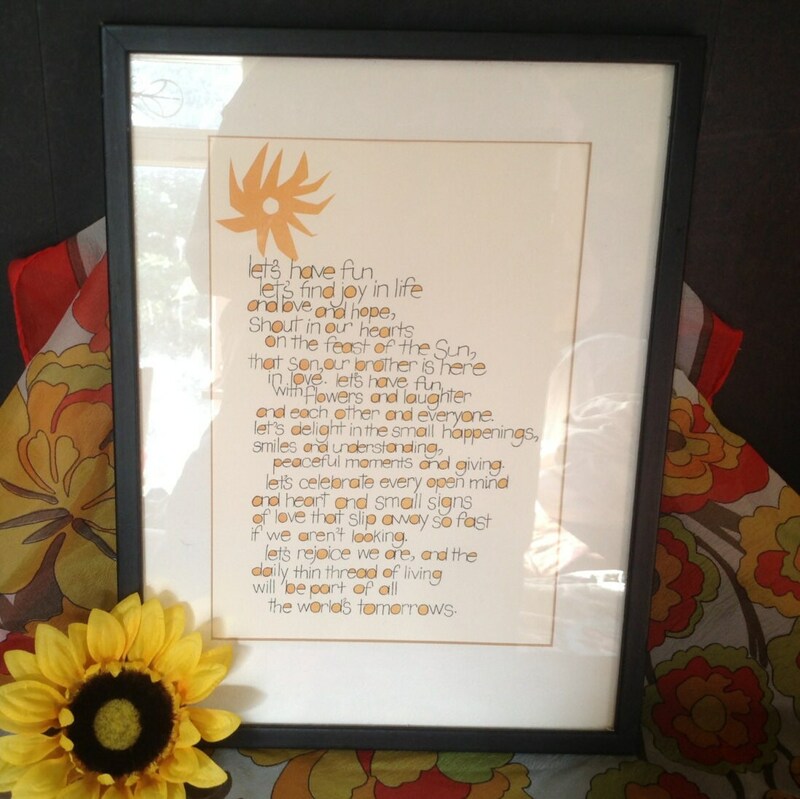 SIZE: 14 1/4" x 10 3/4"